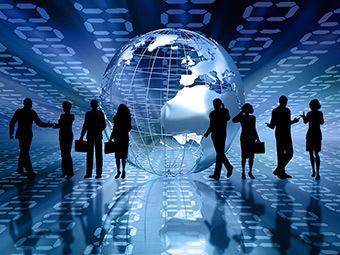 TAKE5 gives you an update on the latest Meetings, Incentives and Business Travel related news. It contains short and to the point information on venues, people, happenings, lifestyle and general news that cannot wait to be told! BBT Online guarantees you 15 new ideas in just 3 minutes. Enjoy our 70th edition. The bankruptcy of the landmark Hotel Méridien in Brussels unleashed a wave of emotion through the hotel sector. The Brussels Hotel Association said the gigantic rental price of the venue was just one of the many problems hotel owners face these days. The average staffing costs in Belgium rose 24% during the last few years. Those in the hotel business grew with a staggering 45%. The main problem is Belgium’s ridiculously high labour tax. Staffing costs make up almost 50% of the turnover of hotels in Brussels, causing major risks for the profitability of the sector. Sadly, if nothing changes, the only question is who’s next? 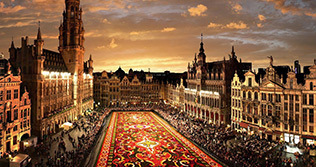 In cooperation with the 2014 Brussels Flower Carpet, Hotel Amigo offers an exclusive new arrangement. The Begonia-arrangement (from 14 to 17 August) offers a unique and flowery experience for two, with a special “Rose Blossom” cocktail, a facial treatment with flowers, a splendid dinner in Ristorante BoCConi, two overnight stays with breakfast buffet, an entry ticket to the city hall and a personal invitation to the opening ceremony. 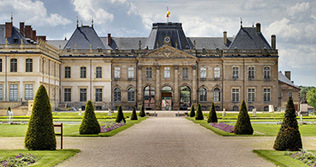 The next Site Belgium Meet & Lunch event will take place on 24 June 2014 at the Diamond Conference & Business centre in Brussels. 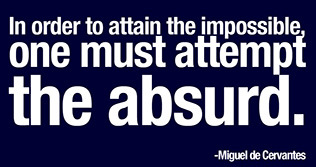 Guest speaker will be Frank Wouters, talking about the absurdity of traditional marketing. 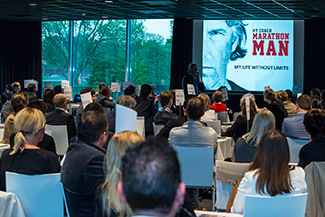 Frank is one of the most opinionated marketers of the Benelux and author of the bestseller ‘The Corporate Joker’. The rate for members is 40 and non-members pay 50. Book your seat by mailing sophie.coumont@hotel-de-la-source.com. 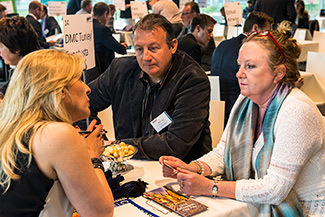 Connect with the global community of incentive travel professionals at the Site Global Conference 2014 in Rotterdam (14-17 November). Join over 300 professionals from over 40 countries around the globe. The brightest minds in the industry will gather to build their business networks and participate in outstanding educational opportunities. Site Belgium offers the 10 first Site Belgium Members who register for the conference an additional saving of 200. Send your registration confirmation to Jean-Pierre Cornelis, (jpsprojects@hotmail.com). He will refund you the 200. Is the MICE industry recovering? The economic crisis hit hard in the event industry. 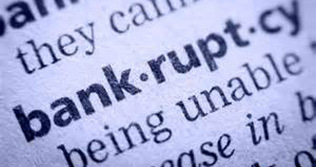 A lot of companies went bankrupt during the last few years. But results from the 9th EventMonitor show businesses are starting to invest more in event marketing again. A surprising 91% of corporate event managers saw their budget rise or at least stay on the same level in the last 12 months. Only 9% of them saw their budget drop, this compared to 31% last year. The crisis in the event industry seems over. 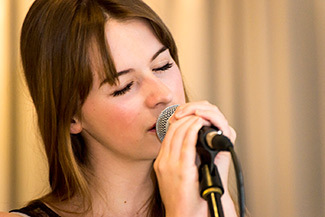 Event agencies and suppliers show the same positive trend. 49% mentioned an effective turnover growth. 96% of corporate event managers expect event budgets to rise or stay at the same level during the next 6 months. Trust in the future is stabilising. Event agencies are showing the same number. 51% expect their turnover to rise. EventMonitor is an initiative by www.eventplanner.be. Want to check out the entire report? Click here to download the files (for a price): www.eventplanner.be/shop/eventmonitor.php. Interhome, Europcar, Allianz Global Assistance and Travel Magazine are organising a touristic race in rental vehicles in Lorraine during the last weekend of September. During the rally, participants will discover interesting, fun or tasty products of the organisers and the destination. Want to join? Don’t hesitate, because places are very limited. Go to www.travelrally.be or send a mail to info@travelrally.be. The participation price is 50. This includes food, overnight stays, rental cars and insurance. 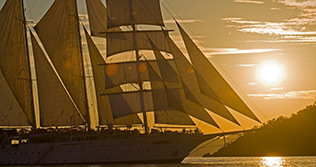 From 27 September to 5 October, the world’s most beautiful tall ships gather in the South of France for Les Voiles de Saint-Tropez. A top event for sailing enthusiasts, who can enjoy the whole spectacle on board the Star Flyer during an eight day sailing cruise. The Star Flyer will set sail in Monaco on 27 September and visit the nicest spots of the Mediterranean, anchoring at Saint-Tropez on 2-3 October, just in time to see the ships. 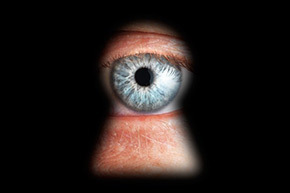 So there was a SPY among us! Ah, the never disappointing ethics of our industry. While organising our B2B workshop, AssistantClub’s Gerard Vranckx asked us if he could help us find new clients on a freelance basis. We said yes, and gave him all the necessary info to attract new clients/suppliers. Instead of bringing them in as promised (not a single one), he decided to completely copy our concept, including literally copying the texts from our info sheets. Everything was completely copied, even the entertainment during the workshop. Some loyal suppliers we often work with informed us about what Gerard had done. The only difference is his target group: secretaries. Last but not least, he even decided to organise his own workshops (3 per year, like us, and of course also on a Monday) on the exact same date as ours. Real classy move, Gerard! Want the real deal? Join our workshop in Brussels on 25 August! Inviting a keynote speaker could make or break your event, and picking the right person for the job makes all the difference. This is why BBT Online attended the third edition of Tintin Talks in Brussels, an interesting recurring event organised by the London Speaker Bureau in cooperation with HelmsBriscoe, serving as an actual showcase for some of the world’s premier speakers available. Read the whole story here. R. Gopalakrishnan – better known as Gopal – is regarded as one of India’s most renowned management speakers and is an important man at Tata – the country’s largest private corporate group, with interests in almost every industrial branch. He delivers lectures all over the world on topics like management, leadership and innovation, and has written multiple books on those subjects. On Tintin Talks in Brussels, he gave a very interesting speech on how the ethical assets of a company will become valuable competitive advantages in the near future. The full article can be read by clicking this link. As customary, our reporter Jonathan Ramael travelled to the bustling metropolis that is Shanghai to attend this year’s edition of the IT&CM China trade fair. For the first time ever, a considerable Belgian delegacy led by Euromic’s Christophe Verstraete joined him to China. They experienced an ever changing city and an interesting but increasingly more “Chinese” fair. Want to read the whole story? Click this link. BBT Online would like to thank every planner, supplier, speaker and performer and especially the venue 3Square’s Michel who made our workshop in Ghent a success.To see all the pictures of the event go to our Facebookpage. We have 2 different albums. After working hard all year, we’ll enjoy the coming summer, but not before mentioning the following date. 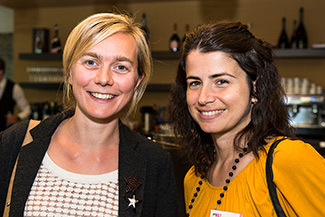 On 25 August, we’ll invite another group of top suppliers to Belgium for our next B2B Workshop. This time, we’ll stay in Brussels, at the Holiday Inn Brussels Airport, for a sunny event taking place in as well as outdoor. Register by mailing us at info@bbtonline.eu. 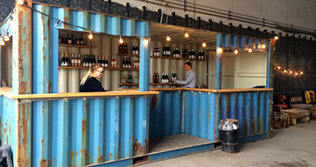 The new Copenhagen Street Food is a folksy, colourful and inexpensive food market – and event venue – in the Copenhagen inner harbour, focusing on global and sustainable street food cuisine. It’s also possible to use the Copenhagen Street Food Market for functions. The maximum capacity for a standing arrangement is 1.200 guests, 500 people can be accommodated while seated, and soon two green houses will seat 60 each inside the markets. 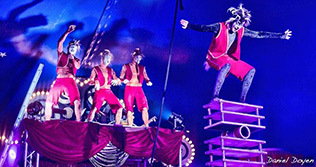 From 22 November to 4 January, De Schorre in Boom will be home to the famous Paul Busch Circus. Together with the already present Boxtalino Circus Events tent, this temporary complex will offer a unique location for impressive shows and events. 750 seats and a luxurious baroque catering tent offer the perfect venue for Christmas parties, New Year’s receptions and all sorts of other business events. The Boxtalino Winter Wonder Circus also offers a shortened version of their standard family show adapted to a business audience. Join BBT Online as a fully hosted buyer to IT&CMA 2014 and CTW Asia-Pacific in Bangkok, from 30 September to 2 October. 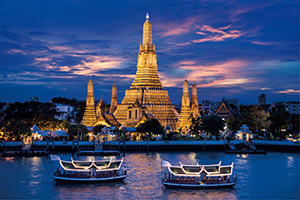 This double-bill event is the perfect way to get in touch with the best MICE and Corporate Travel experts Asia has to offer. Since 2012, luxury travel is incorporated in the event as well. Want to join us? Send us a mail at info@bbtonline.eu. You can find more info on the event and on registration on the official site: www.itcma.com. • 27 June, Sofitel Brussels Le Louise: Workshop Estival Dubai in Brussels. A workshop on all the new meeting news coming from Dubai. Register by sending a mail to sujatal@hillsbalfour.com. 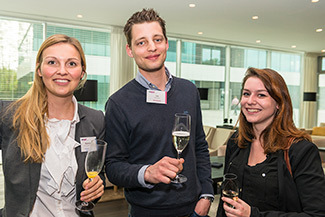 • 1 July, Mercure Hotel Amsterdam City: ACTE Amsterdam Education Forum. Registration is open via www.acte.org. All educational sessions will be related to the main topic: ‘Travel in 2020’. • 13-14 September, Waagnatie, Antwerp: Cruise Event. 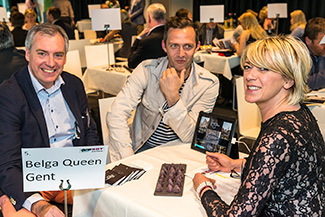 Antwerp will host the third edition of this annual cruise event organised by CLIA. Interested in all things cruises? Visit www.cruise-event.be for more info. • 17-19 September, National Convention Centre, Beijing: CIBTM 2014. Hosted Buyer registration is now open. Over 500 national, regional and international hotels, venues, destinations, technology suppliers and business travel & event service providers will exhibit. Register online here: www.cibtm.com/en/Hosted-Buyers. • 3-5 October, Geneva: Geneva Spirit. 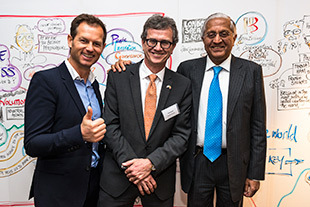 An original and personalised programme to discover Geneva and its partners. Site inspections, games, activities, guest speakers and lunches & dinners will take you all over the city. Register here. • 23-25 October, Radenci, Slovenia: SPA-CE. An international tradeshow focused on spa and wellness tourism. The sixth edition will be held in Slovenia. Click here for more info: www.spa-ce.si. • We found an interesting article on a mistake a lot of conference organisers make: putting all of the focus on lectures by hired speakers and none on actual conversations between attendants in small groups. Read all about it behind the link. • The new congress centre in Mons finally has a name. MICX (Mons International Congress Xperience) was designed by Santiago Calatrava. The unique shape and colour of the building should integrate it perfectly into the surrounding landscape. • Check out this movie on the IPITA System (Integrated Proactive Intermodal Travel Assistant): a technology in development that could completely change the way you travel in a couple of years. The clip gets interesting at:44. • This year’s edition of the Ostend international Sand Sculpture Festival (28 June – 31 August) will feature Disney’s most beloved stars. Disneyland Paris will be completely remade in sand over an 8000m2 area. Contact the Ostend Convention Bureau for a magical family day for your staff or clients. • From 29 July to 10 August, the legendary musical Evita comes to Kursaal Ostend. Shows will be performed from Tuesday to Saturday evening and matinees will be held on Saturday and Sunday. Evita tells the famous story of Eva Peron, the wife of former Argentinian Dictator Juan Peron. • Istanbul topped the ‘Top 25 Destinations’ list on TripAdvisor. Rome, London, Beijing, Prague, Marrakech, and Paris followed Istanbul on the list, based on user comments and ratings. • Costa Cruises introduces a new concept. ‘Slow Cruises’ are unique sea voyages, catering to those travellers looking for peace and quiet above all. 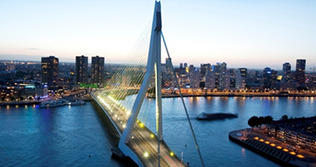 They will offer surprising trips leaving from Amsterdam, that include more time to visit the wonderful cities on route. • With close to 1.9 million passengers, Brussels Airport had its strongest April ever. For the first time the historic record numbers realised in 2000 were broken. The current results were achieved with almost 33% less flights. Compared to last year, passenger growth was 16.6%. • Emirates announced a new daily service from Dubai to Brussels starting 5 September. Flights will arrive in Brussels at 1.15 pm and will leave for Dubai at 2.45 pm. • Brussels Airlines started working with Ice-Watch. The Brussels Airlines crews will become the ambassadors of the Belgian brand, and the Ice-Watch will become available for sale on every flight. More than 12 million Ice-Watches were sold since 2007. • Hard Rock International opens its first European hotel – in Ibiza. This new five star venue on Spain’s most famous party island will become the chain’s twentieth venue worldwide. • Accor took over the Cascade Midi Brussels hotel on the Fonsny Avenue. Located right across Brussels Midi, the 93-room hotel will be renamed Novotel Brussels Midi. • Crowne Plaza Brussels Airport received a TripAdvisor Certificate of Excellence award. The accolade, honouring hospitality excellence, is given only to establishments that consistently achieve outstanding traveller reviews on the site, and is extended to qualifying businesses worldwide. • The Battle of the Chefs is a genuine cooking competition organised by Mmmmh! during which two or more cooking teams face each other in order to create a full 3 course menu, prepare and serve the dishes for the entire team. They offer a special price in June: 80.00 pp. excl. VAT instead of 95.00 pp. excl. VAT. More info here: www.mmmmh.be. • Bruno Simons (’t Hof van Eden, Antwerp) won the 53rd National Cocktail competition organised by the Union of Belgium’s Bartenders at Crowne Plaza Brussels Airport. He can call himself Belgium’s best bartender for a whole year. • The Radisson Blu EU Hotel in Brussels is looking for a new Sales Manager. Experience in dealing with government and associations would be very beneficial. Click this link to read the job description and requirements. • Sarah Cornand is the new Sales Manager for the Meeting in Bruges Congress Bureau. She worked as a Key Account Manager for Sintec Tur in Buenos Aires and as Project Manager at Conference & Touring, one of Germany’s biggest DMCs. • Claire Massart of Incentive Destinations is leaving the industry to spend more time with her family. She wants to thank all the people who gave her the opportunity to do what she liked most for more than 25 years. • Karen Verbiest started working as a GM for the Courtyard by Marriott Brussels Hotel. She can be contacted via: karen.verbiest@marriott.com. • Cyrielle Poumadé will become the main contact for all Lucien Barrière Hotels & Casinos. She can be reached via: cpoumade@cannesbarriere.com. • Bernard Dacier started working as a Project Manager for AIM Group International. • Wim Melis became the new Country Manager for the Benelux at Vueling. He has more than 20 years of experience in the aviation industry. Alain Heggerick, Managing Director, Rufie Events, www.facebook.com/rufieevents.